A two-stage openshop consists of a machine in the first stage and a machine in the second stage; a job processed on the two-stage openshop means it is processed non-preemptively by each of the two machines, in whichever order. We consider the scheduling problem at the availability of multiple parallel identical two-stage openshops, with the goal to minimize the makespan. 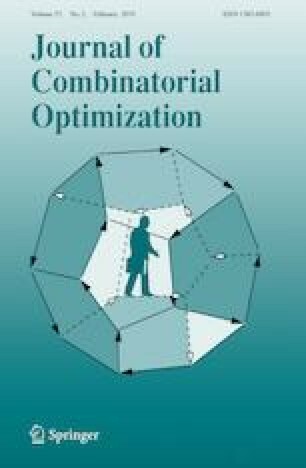 By uncovering the important role of the critical job in the optimal schedule on a two-stage openshop, we propose to sort the jobs in the novel critical-job order, and use this order to design a pseudo-polynomial time dynamic programming exact algorithm to solve our scheduling problem with any fixed number of two-stage openshops. Afterwards, using the standard scaling technique, we develop the dynamic programming algorithm into a fully polynomial-time approximation scheme. These results improve previously proposed constant ratio approximation algorithms. This work was partially supported by the NNSF China and the NSERC Canada. JD is supported by the NNSF China Grant No. 11501512 and the Zhejiang Provincial Natural Science Foundation Grant No. LY18A010029; part of his work was done while visiting the University of Alberta. JH is supported by the NNSF China Grants Nos. 11271324 and 11471286; part of his work was done while visiting the University of Alberta. GL is supported by NSERC Canada and the NNSF China Grant No. 61672323.